The Fuzz Speech video...not for the squeemish! All of Brian Swimme's work connects the mystery, magic, and science of how we really are all connected...a 13.7 billion old living being! He articulates "Resonance" as a power of the Universe...i.e. how things work on the small (i.e. cell) and large (i.e. society, cosmos) scale. "As above so below" Fractal Geometry Youtube Bruce Lipton: http://www.youtube.com/watch?v=9GaB1VMAXPQBruce Lipton: "The new mechanism of evolution suggested by the new biology is one that consists of repeating patterns of self-similarity; it is a pattern based upon fractal geometry*. 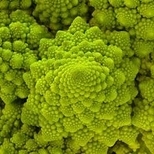 The significance of fractals is that they represent basic patterns that are iterated (repeated) over and over again. If you can recognize a pattern at one level of the structure you can apply that awareness to understand the patterns throughout the whole structure." i.e. As we do our own healing work/clearing our dysfunctional patterns, we are healing and evolving the whole being/structure/earth/universe!